The destination for today's early morning walk is the Asmara railway station. The site is deserted. The trains may be chartered (per hour) and every Sunday at 08:00 AM one may join the trip from Asmara to Nefasit for 50 dollar or the 750 Nakfa equivalent. A group of ten passengers or more may be required however. I follow the tracks to the diesel and the steam sheds where antique Italian railcars and locomotives are serviced with ancient machinery. I visit the turntable to position the nose of the locomotives in the correct direction. Piles of coal and sleepers complete the scene of an historic railway depot. Next destination is the northern bus station. When I will leave to Keren it will be too dark to make pictures and observe the lively scenes of small scale trade at he bus station. I watch the modern King Long and Karwa Higer buses ariving and leaving the bus terminal, trying to picture the men and women selling fresh fruit and roasted maize. Most of them are not happy when I point the camera at them. The basic argument is they want to be pictured in their Sunday dresses when they have done their hair, but not in old working clothes. I make some pictures from a distance and will cut the details back home. I have lunch at Cathedral Snackbar where the ladies have fun when I even picture the menu. When I point the camera in their direction they hide behind the bar or gesticulate I should not picture them. I will have to find other volunteers to pose for my camera. I spend the afternoon collecting recent data hopping from hotel to hotel and visiting other tourism service providers for the 2014 web site update. Many of the hotel staff remember me from my 2011 and before visits to their hotel. At 05:00 AM when I walk in the Gejeret district my attention is directed to loud live music from a marriage. One of the family members of the marrying couple watches me pass and invites me to join the happy event. 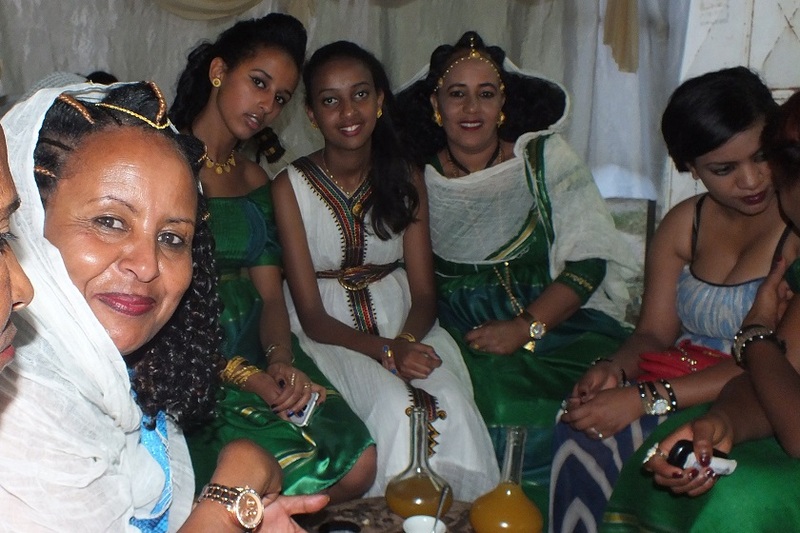 It is the wedding celebrations of Mulugheta and Diana. And if you are invited like this as an honored guest it is not just sit down and watch. 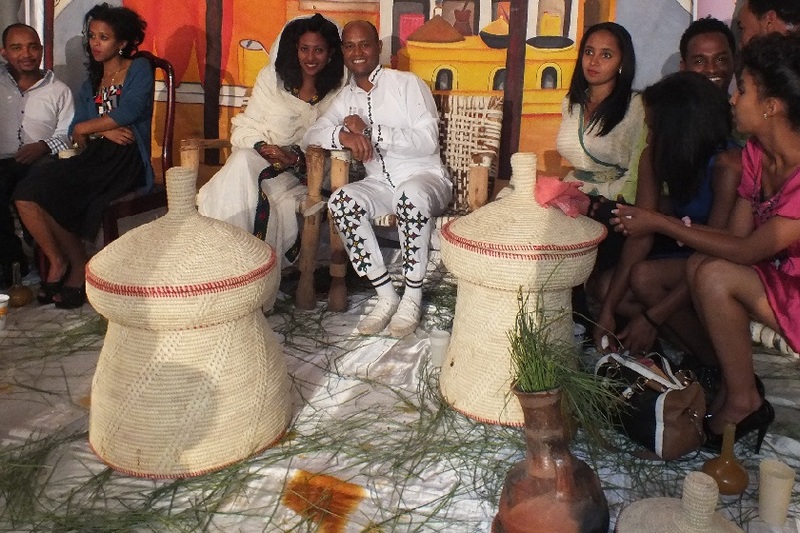 I am invited to eat injera and drink suwa and mes. And to dance! I follow my heart and join the party on the dance floor. Both the marying couple and the other guests welcome my interaction with the guests on the dance floor. I ask if I can make some pictures of the wedding celebration as well. It is okay, as everyone is dressed at his / her best and proud to be on camera. I should also picture the family members. Some of them came from the EU and US to witness the wedding. 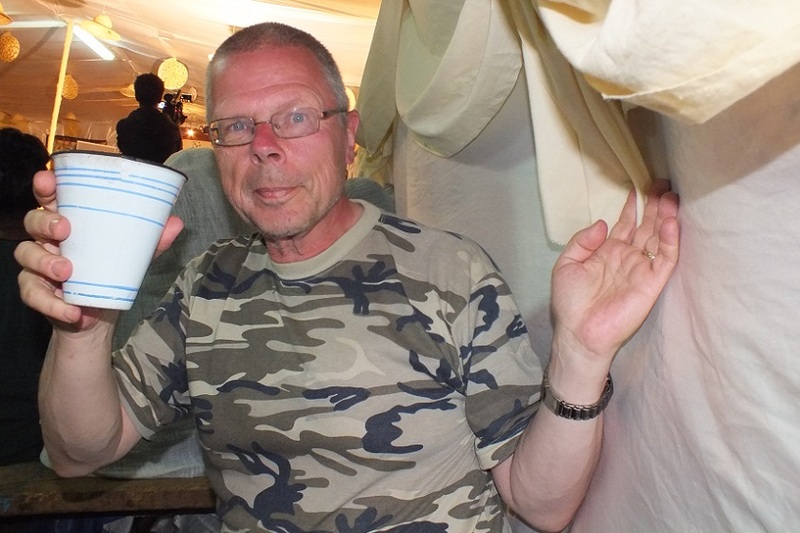 I ask them to picture me as well, although I was not realy dressed for the party wearing my military look outfit. Unfortunately the party is interupted by a local power failure early in the evening. A generator is supposed to serve as a backup, but is malfunctioning. Feeling unhappy at the party in the complete dark, I decide to leave. I have to find my way back home in the dark with a flash light only. I know the directions to the Gebrehiwot house, but at the Nyala Hotel my foot is trapped in a hole in the street that I did not observe in the dark. The misstep causes a contusion of the ankle and I am almost unable to walk. 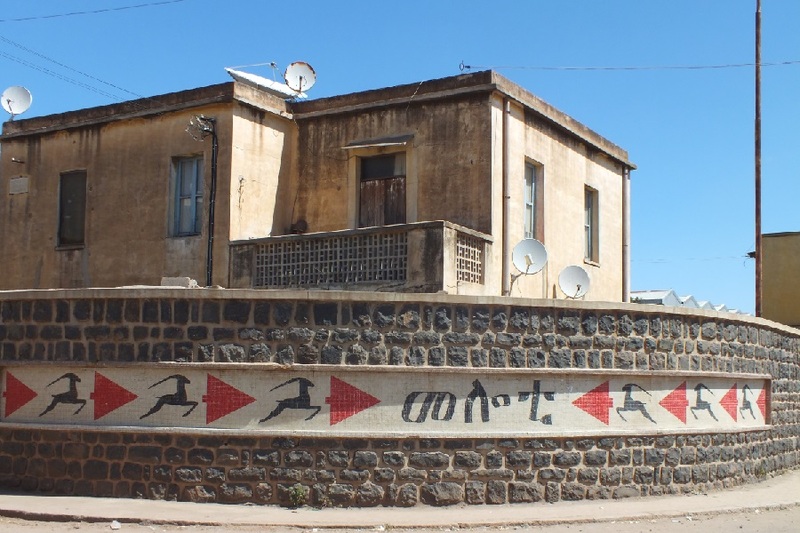 With a lot of pain I reach the house of Gebrehiwot and I must fear for the rest of my stay in Eritrea (later I will find out that although it hurts, keep moving is the best cure and the foot is stiff after my night rest only). 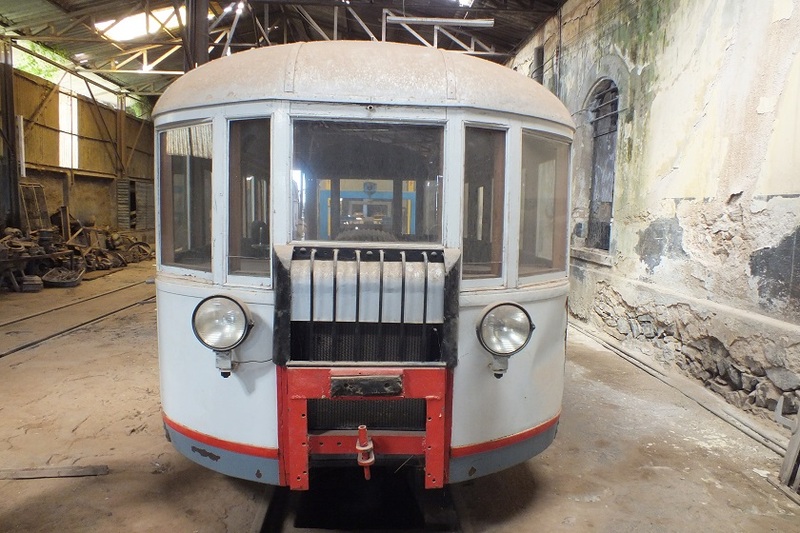 Fiat Littorina - Railway station (Ferrovia) Asmara Eritrea. 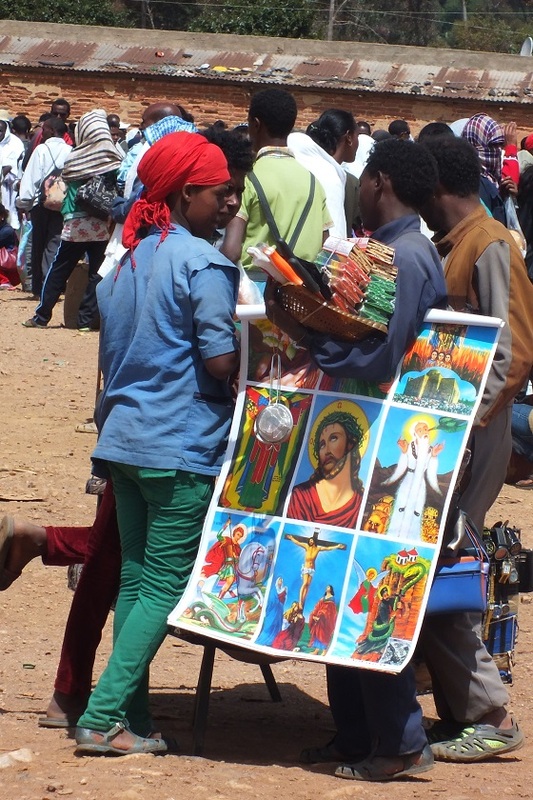 Various merchandise - Northern bus station Asmara Eritrea. 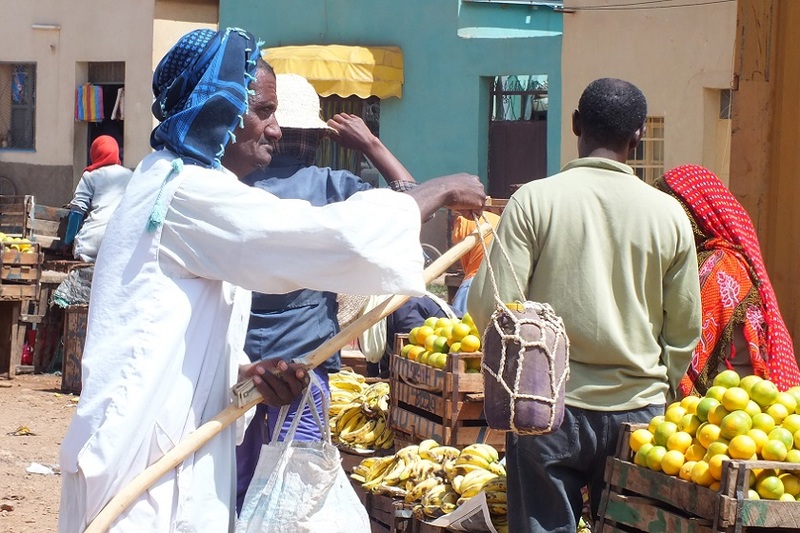 Old woman buying fruits - Northern bus station Asmara Eritrea. 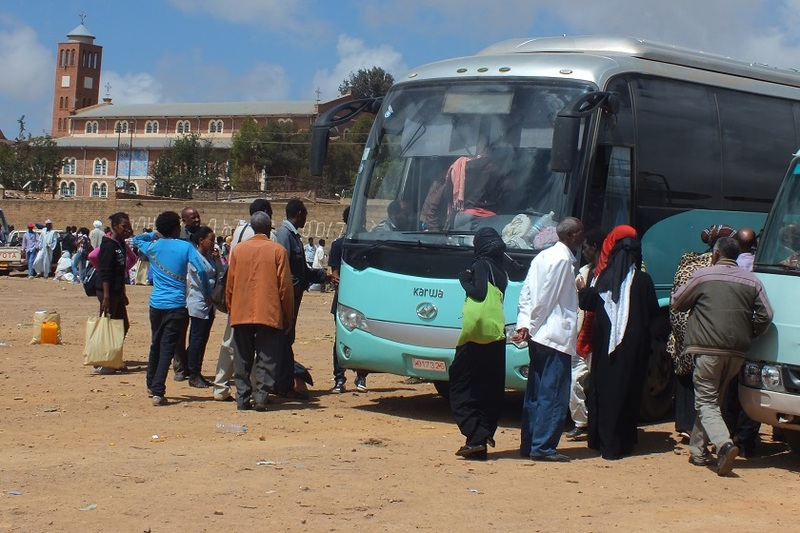 Harat intercity bus - Northern bus station Asmara Eritrea. 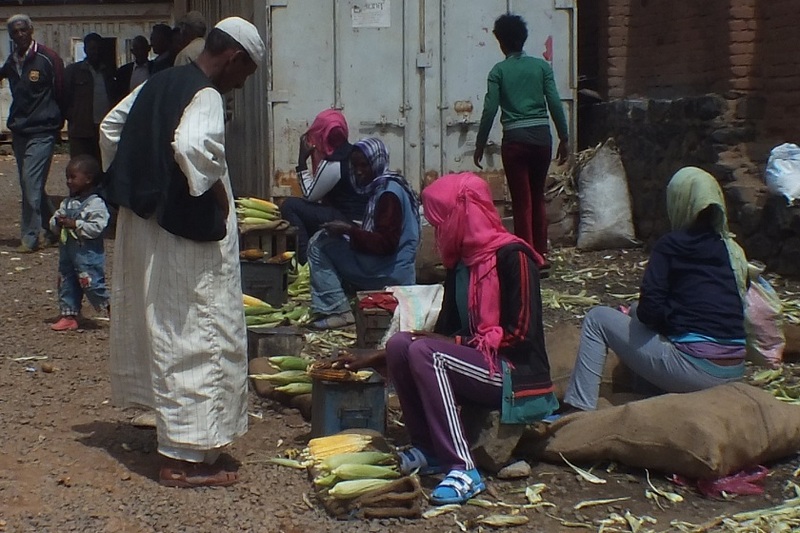 Ashet (roasted maize cobs) - Northern bus station Asmara Eritrea. Salena! (picture us!) 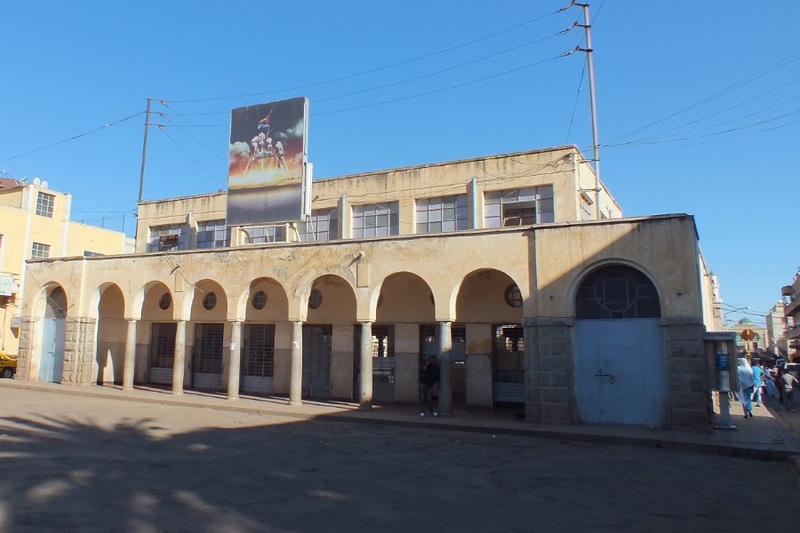 - Northern bus station Asmara Eritrea. Entrance of Asmara brewery - Dahlak Street Asmara Eritrea. 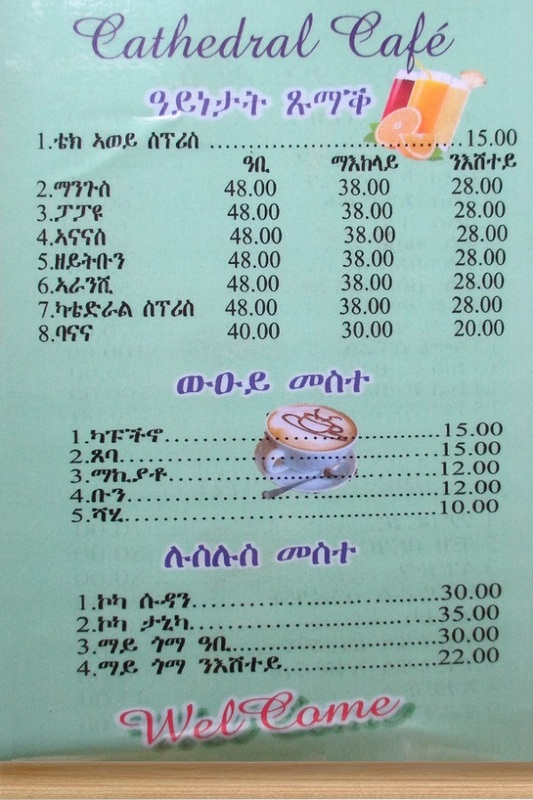 Cathedral Snackbar menu - Harnet Avenue Asmara Eritrea. 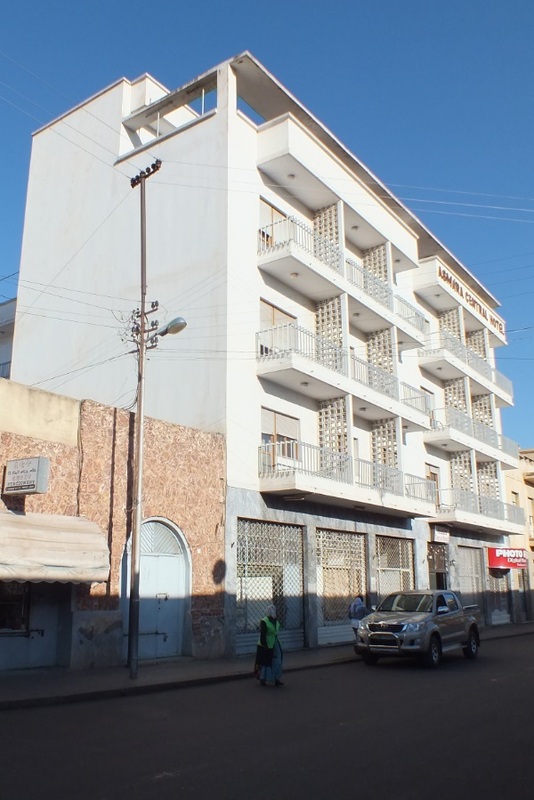 Asmara Central Hotel - Matae Street Asmara Eritrea. 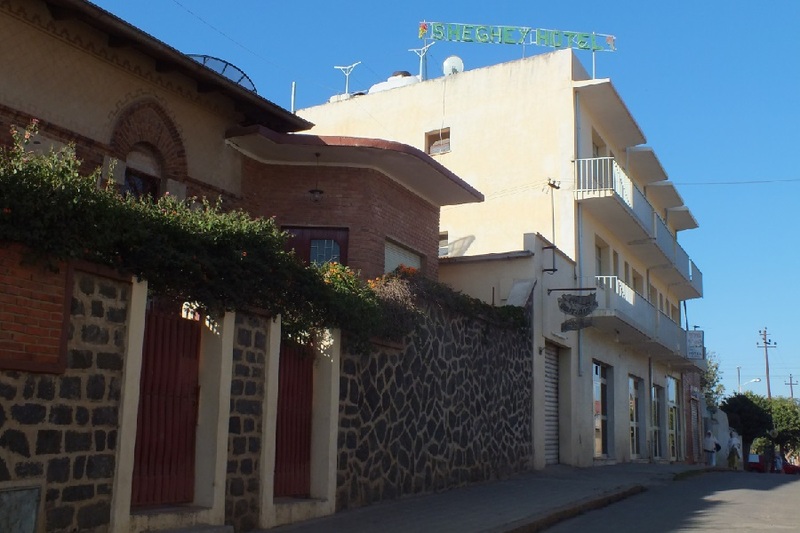 Sheghey Hotel, Bar & Restaurant - Barka Street Asmara Eritrea. 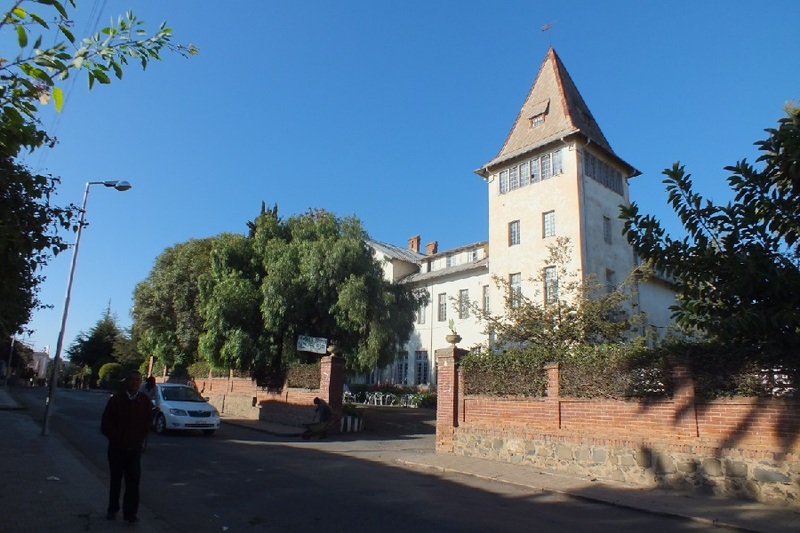 Hamasien Hotel - Hailu Kebede Street Asmara Eritrea. 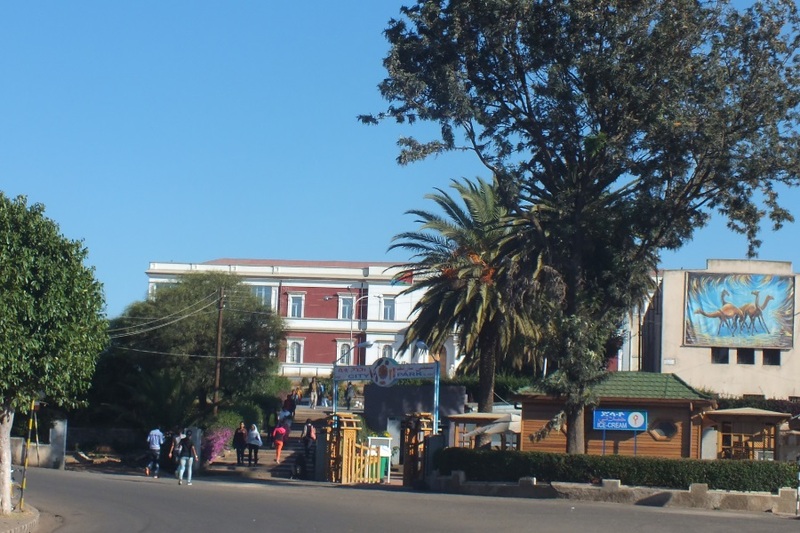 City Park and government buildings - Sematat Avenue Asmara Eritrea. Fish market - Harnet Avenue Asmara Eritrea. 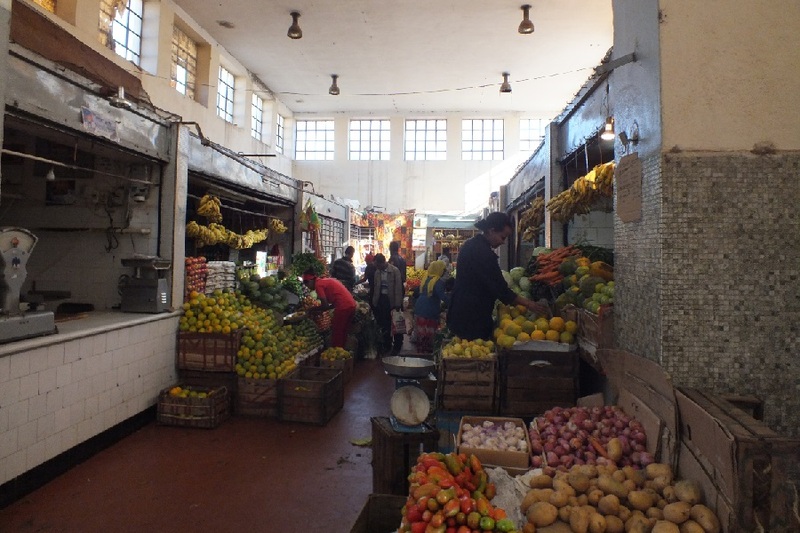 Covered vegetable market - 176-21 Street Asmara Eritrea. 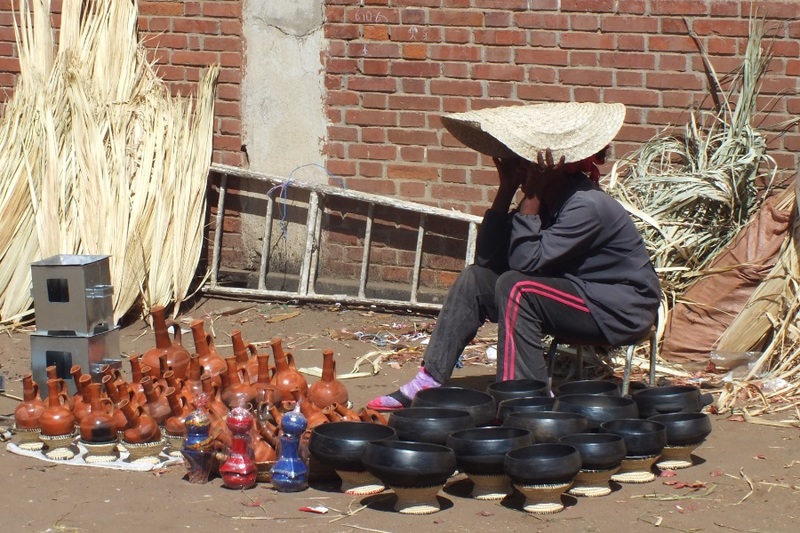 Jebena's and pottery - Souk Asmara Eritrea. 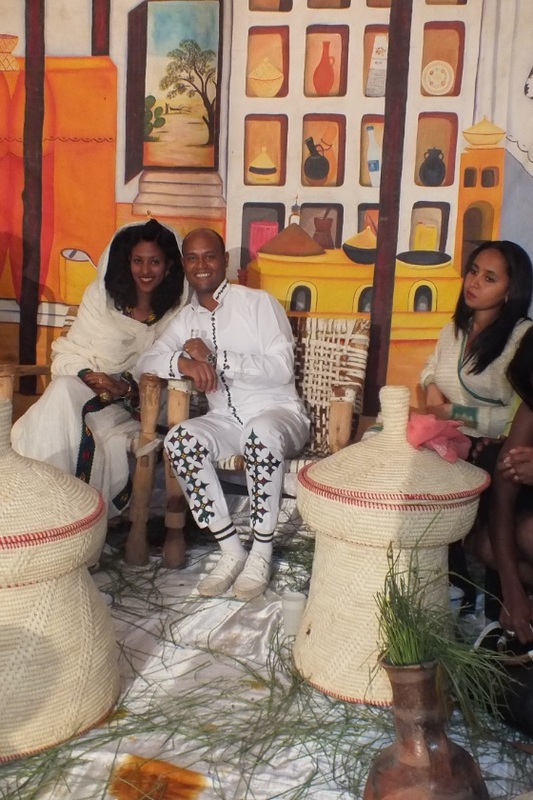 Wedding of Mulugheta and Diana - Gejeret Asmara Eritrea.